Solid Tech Isoclear 4 unds.  Solid Tech Isoclear 4 unds. High-end performance made at affordable price. 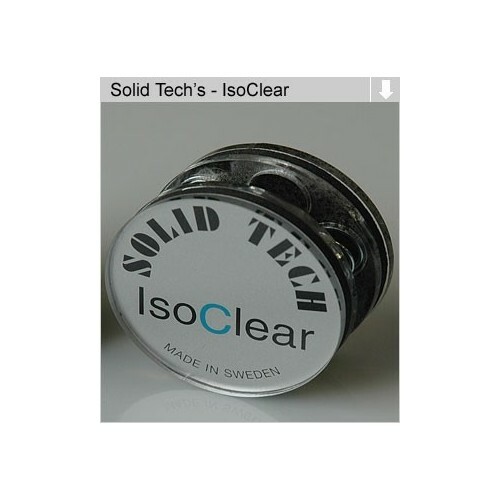 Our latest isolation feet that implements the documented and effective technology used in our sophisticated products now available at a price / performance ratio that outperforms most existing isolation devices.